Some of you may have seen our coverage of the Razer Phone launch event this week. Well, in addition to covering the livestream, some of the photos in our articles were from the event itself as I was there in person at The Science Museum IMAX theatre in London. 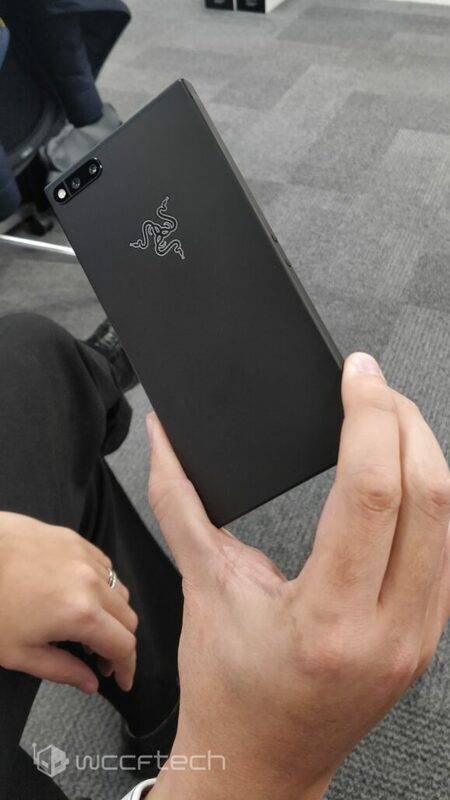 I was also one of the lucky few members of the press who got a brand spanking new Razer Phone to review. I’ve had a few days to play with the device now and can honestly say for the first time in years, I’m genuinely impressed with a new phone. Does it instantly make mobile gaming a great platform for “traditional” gamers? Absolutely not. Does it push the envelope in what we think a phone should be capable of? Absolutely. Let’s find out what it’s all about. Before diving into the detail, please be aware that I’m a reasonably long time Android user. I’ve had some iPhones but those are now something of a distant memory having been dispensed with after the 4. Since then, I’ve had numerous HTCs (Desire S, One X, One M7, One M8 and a One M9), a Nexus 4, a Sony Xperia Z3+ and a Samsung S7 Edge (hated it) before ditching it and going back to the Z3+. As such, I’m probably not the best person to say whether this phone is worth making the switch from iOS to Android for. First things first. This is a big phone. Measuring in at 158.5 x 77.7 x8mm, it dwarfs a lot of other phones out there unless you’re already in phablet territory with a Note, iPhone Plus or similar. I’ve watched mostly from the grumbling sidelines over the years as phone size inflation has been a regular thing, missing the days of the iPhone 4 and Desire S sized devices which were small, light and not a pocket bulging thing but now that I’m in the phablet space, I’ve got to say that I don’t really know what I’ve been moaning about for all this time. The device is big, but not unwieldy. It’s winter now which helps a bit as coat pockets are bigger than trouser pockets, but I have no problem putting it in my jeans. The build quality/fit and finish feel excellent. The entire chassis is aluminium and although there are some slightly darker strips at the top and bottom of the phone back, along with on the thin edges of the phone which may be a different material although it’s difficult to tell since although they are visible, they sit completely flush with the rest of the casing and there is no discernible edge from running a finger along them. Tech specs are clearly high end, as we’d expect from a flagship first phone from a company like Razer. A Qualcomm Snapdragon 835 keeps things ticking along nicely, as does the 8GB of dual channel LPDDR4. 64GB of built in storage and a class 10 microSD slot allowing for up to a theoretical 2TB in additional storage as and when cards of that size become available. Fingerprint sensing is built into the power button (on the right side) and a couple of volume buttons on the left also double as physical camera shutter buttons. Razer clearly wanted to do something to make this a genuine gaming device. In the past, it’s had tablets with awkward physical controllers bolted on, this time it’s focussed on that thing which is so central to the gaming experience, the screen. Obviously leveraging on their previous experience working with Sharp IGZO displays in the Blade laptops, Razer again turned to the company/technology to produce the 120Hz UltraMotion 1440 x 2560 panel. What is UltraMotion exactly? 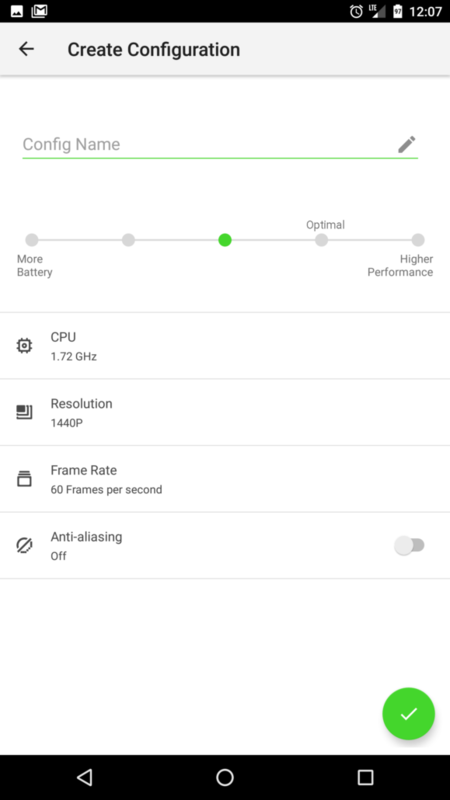 Think of it as G-SYNC/FreeSync for phones. I’m not personally a massive mobile gamer, so I can’t entirely say how much of a problem tearing etc is in mobile gaming, but the benefits of variable refresh rate technology on the desktop are undeniable, so it makes sense to bring it down to the smaller form factor as a gamer feature. Otherwise, the screen is a beautiful feature of the phone. Everything is sharp and fluid in both day to day use and in games. Colours pop out at you and the experience is only slightly marred by the dynamic brightness feature which feels like it needs some tweaking as the jumps are noticeable and it regularly feels like it’s hunting up and down for the right level. Switch that feature off and the screen is fine. Let’s be honest. Speakers on phones are rubbish. 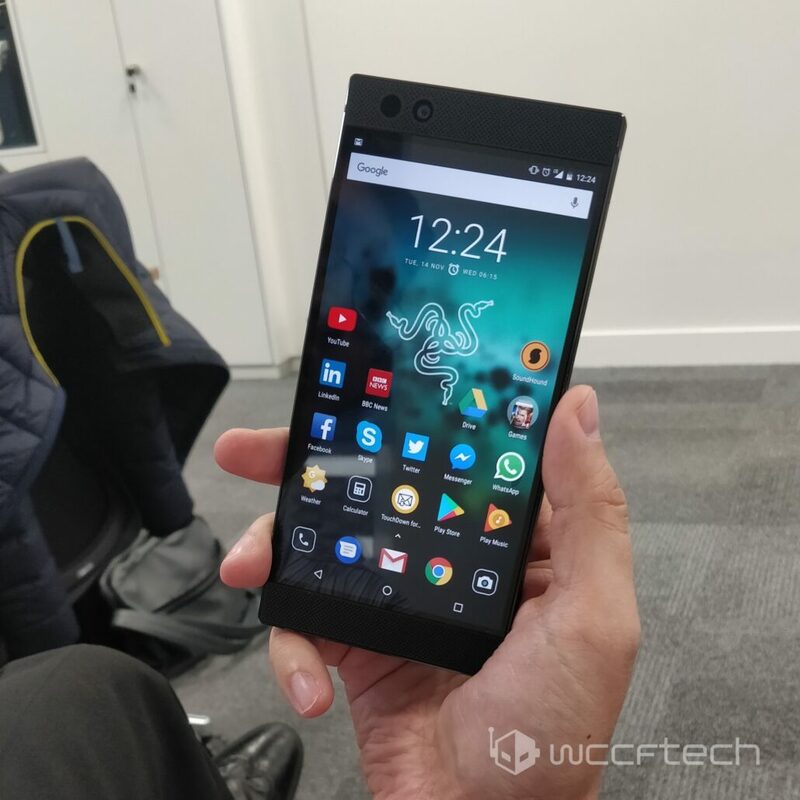 They’ve always been rubbish and until the Razer phone, I was absolutely certain they would always be rubbish. I used to be a bit of an audio geek and still am in some ways although I don’t spend nearly as much money on audiophile kit as I used to in the days before kids showed up on the scene. For those that don’t know, Razer is also the company that now owns THX, having purchased it in 2016. The company has a long association with audio quality and was originally founded by George Lucas, being part of Lucasfilm until it was spun off in 2002. So what we have here is the world first THX certified phone, as well as being a Dolby Atmos phone, coupled with two large, front facing speakers that have an amplifier each. What does it all equal? Well, the first impression is that it’s loud. I mean like LOUD. As in louder than I’ve heard some Bluetooth speakers being loud. The second impression is that it’s good. The Dolby Atmos magic is clear in both speaker and earphone guise, although with 2 drivers we’re obviously limited in terms of what kind of soundstage the phone/earphones can produce. Is it amazing sound? No. Is it amazing sound for a phone? Absolutely. Be warned, normal phone volume levels this ain’t. You’ll have your ringtone volume on one blip above silent and it’s quite easily the equivalent of 60%+ of the volume bar on other phones. The first problem here arises given that many of us (myself included) use our phones as our alarm clock. Cue being woken by the loudest alarm in history the morning after I switch phones. Bleary eyed fumbling turns it off, but not before the entire house is woken up by the thing! Thankfully, you can get around that by using the gradually increasing volume option in the alarm clock so that it starts out quietly and increases. Sound quality is generally good whether in game, watching videos or listening to music. Ear/headphones are of course going to be preferred, but the speakers are excellent, if lacking in bass (unsurprising given the size/form factor on offer). Razer made a big song and dance at the launch event about battery life and they’ve done a good job here. With a 4,000 mAh battery, this is the first time in years that I’ve not had to top up my phone part way through the day to make it home without running out of juice. My regular commute involves a good amount of time spent in apps that laugh in the face of phone batteries. Expecting the same here, I was quite shocked. 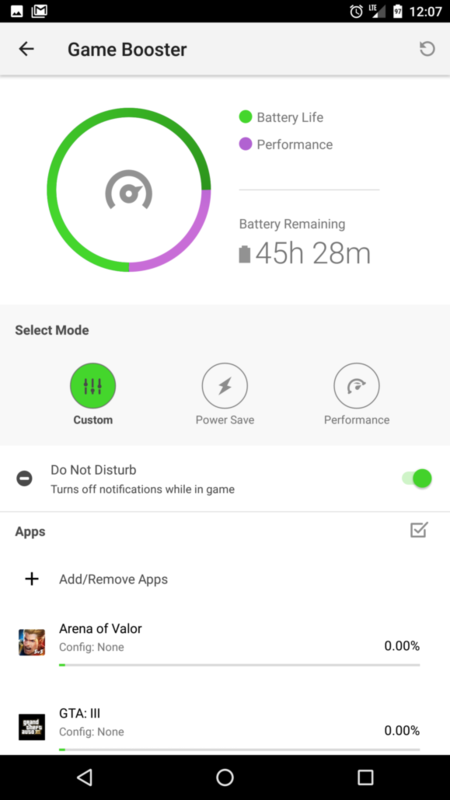 I went through a complete day with normal usage (and even greater than normal because I wanted to try the Arena of Valour game that came with the phone) and got home at the end of the day with 50% battery still remaining. Let that sink in for a minute, because to me, it’s probably one of the biggest positives of the Razer Phone. An entire day with several hours of normal commute usage, showing youtube videos for speaker demos and games around the office (quite a few gamers there), plus a good hour or two of gaming time and I didn’t need to plug it in once and still had lots of power to spare. The Razer Phone comes with what is basically stock Android 7 (Oreo is coming in Q1 2018) with some additional stuff preinstalled. 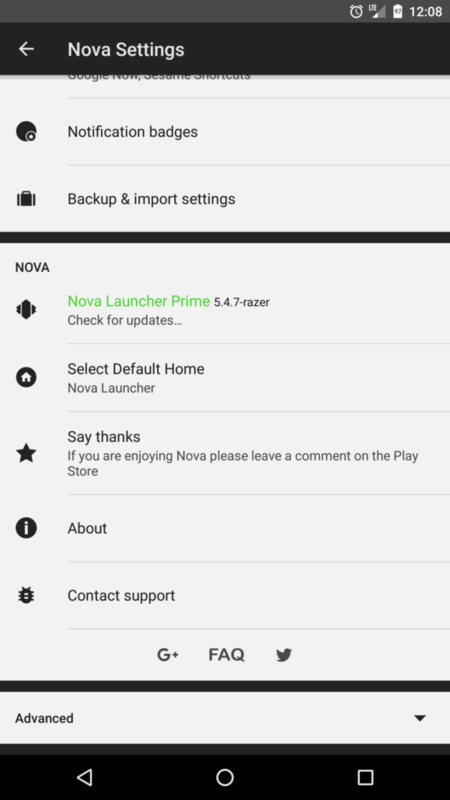 This includes some games, the Razer Theme store, Game Booster for game settings and notification overrides, as well as one of the more popular launchers for Android: Nova Launcher. I’ve never seen the need to purchase a launcher for Android, but now that I’ve got it, I can understand the appeal. 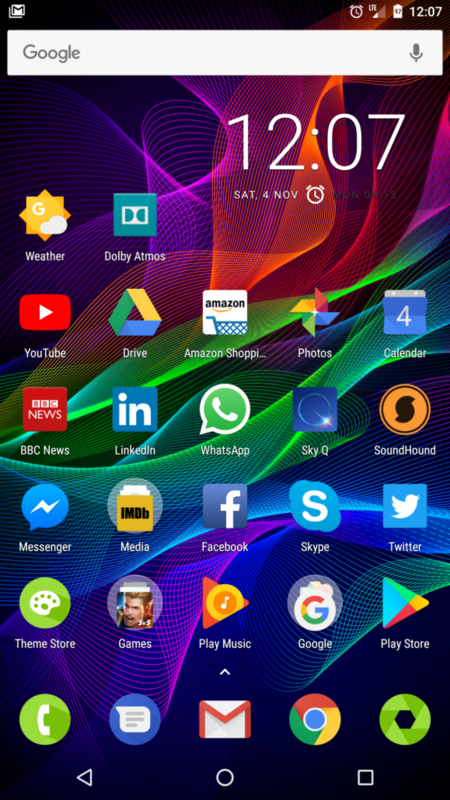 Customisation options are vast, significantly greater than most other Android setups I’ve used and it’s a relatively intuitive thing to setup, although the number of options can be overwhelming at first. The camera is also a good quality one, having 2 lenses on the back (a 12MP f1.75 wide angle and a 13MP f2.6 zoom) and nicely responsive. It would have been nice to have a dedicated camera button but the volume buttons double up as these so it’s not the end of the world. We do of course have to address the elephant in the room which is the lack of a normal headphone jack. USB-C and an adaptor serve here but I have plenty of ear/headphones that I like and I hate having to use a dongle. At least Razer do put the dongle in the box meaning you don’t have to buy one. This is a great phone. I love the way it looks, feels and performs. Would I buy one with my own hard earned? Under normal circumstances, absolutely, however we’re approaching an odd period in the mobile phone market. I’ve felt for years that innovation has been lacking with what has now become a relatively tiresome annual spec bump with no ground-breaking new features in the phone space. That’s obviously a sign of the maturity of the market, but it also feels to me like the next big device convergence capability hasn’t really been worked on and to me, that has to be the camera. Phone cameras have gone from being abysmal to being “good enough”. Some of them you’d probably even call “good”, but of course they’re never going to compare to the higher end dedicated cameras out there. The age old saying goes that the best camera in the world is the one you have on you when you need to take a picture. In years gone by, I used to cart around a backpack with a Canon EOS 5D mark 1 and lots of lenses/attachments but these days more often than not I can’t be bothered, so like many others I default to my phone and get frustrated with the results. 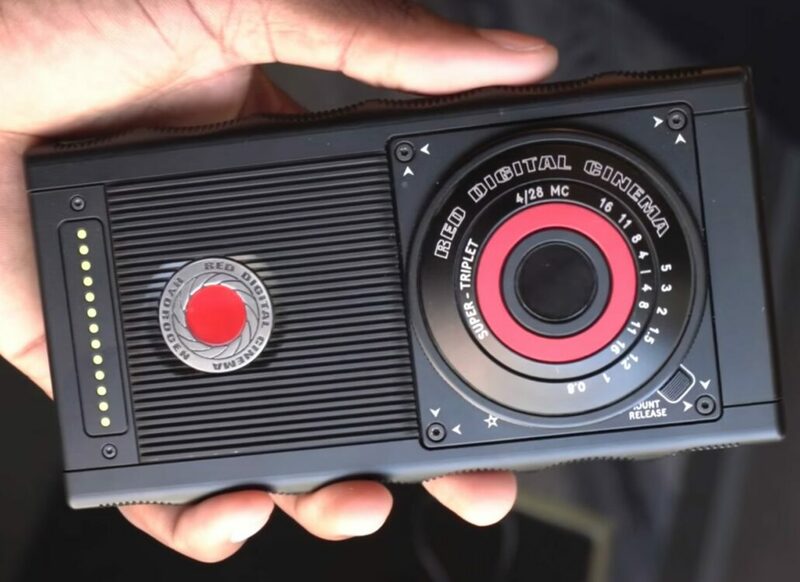 This is relevant because for me, I have pre-ordered the upcoming RED Digital Cinema Hydrogen One, despite next to no specs being available for it. If I didn’t know that phone was on the horizon (provisionally slated for Q1 2018), I would absolutely buy the Razer Phone with my own money. The RED is also more than double the price of the Razer and knowing the firm, it will likely cost many times that with accessories you’re going to want to buy so these two phones aren’t really looking at the same market. 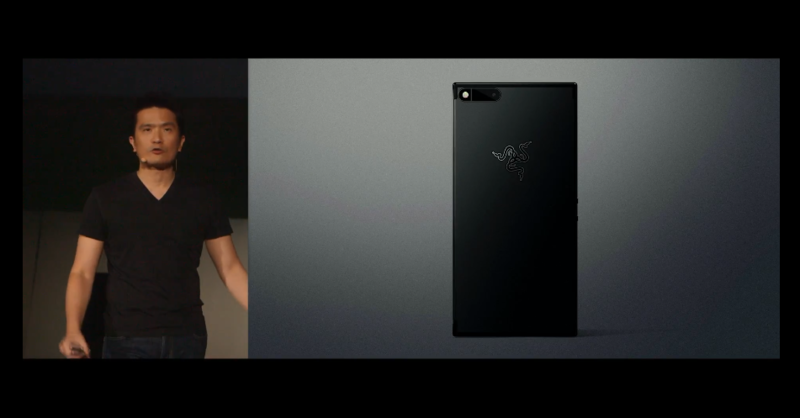 RED is looking at true device convergence of high quality imaging into the phone form factor (plus a holographic screen and the means to get content produced for it), Razer is refining an existing platform and making it more gamer friendly. So ultimately the question for me comes down to what am I more of, a gamer or a photographer? That’s a pretty easy question to answer, I love gaming, however therein lies the problem. I’m a big screen gamer. I game on my desktop PC (occasionally on a laptop) or on my TV. Mobile gaming is becoming huge but for the type of games I enjoy, I’ve always struggled with the lack of physical control mechanisms. When GTA 3, Vice City, Max Payne and many other games first launched on mobile, I immediately bought them but got annoyed with touch based controls and mostly stopped playing them. 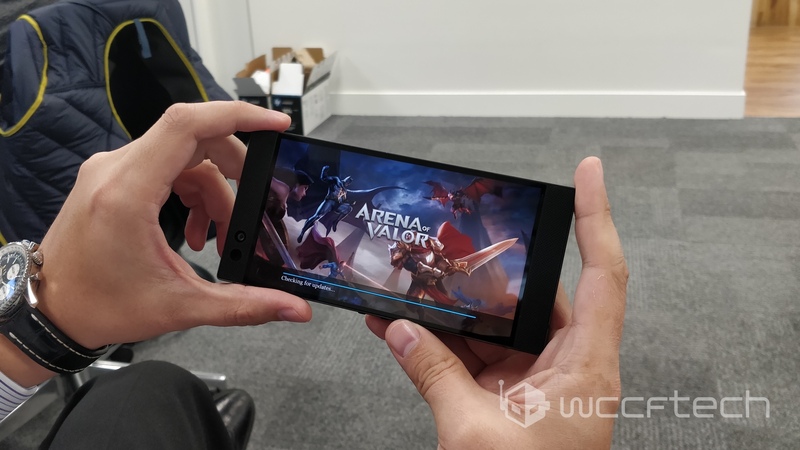 With the Razer, I tried my first ever MOBA in the shape of the Arena of Valour game and must say I have actually enjoyed it and will probably keep playing, but that doesn’t detract from what to me is a frustration with mobile gaming in general. Ultimately for me, this is an amazing phone and for now, it has already become my daily driver. I’m undecided whether I’ll keep my pre-order for the RED but probably will which means that at some point, I’m likely to face a very tough decision because in the few short days I’ve had this phone, I’ve come to love it. 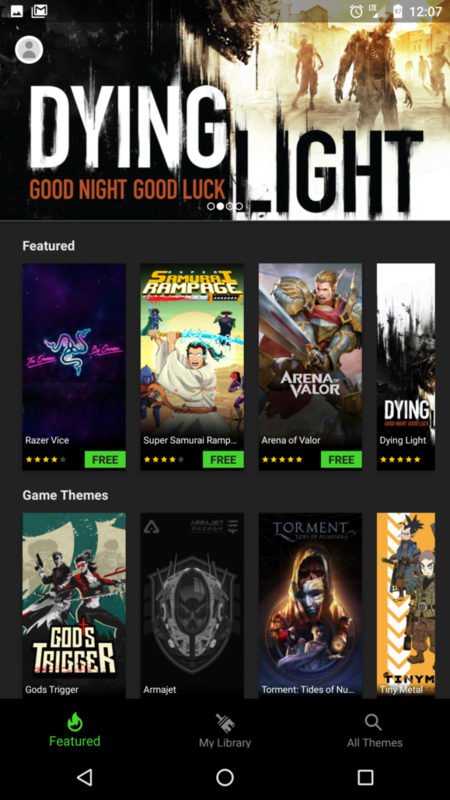 Android (and mobile in general) gaming isn’t amazing, but the Razer Phone certainly moves the bar up in what you can expect from an Android phone, whether for gaming or not and that can only be a good thing in my opinion. I’m still tempted by a Switch for proper mobile gaming with physical controls but haven’t yet taken the plunge. Whether you’re a gamer or not, this is a GREAT Android phone and Razer have executed brilliantly on their first attempt, at a significantly lower price point than many other big brand flagship phones. I love it. 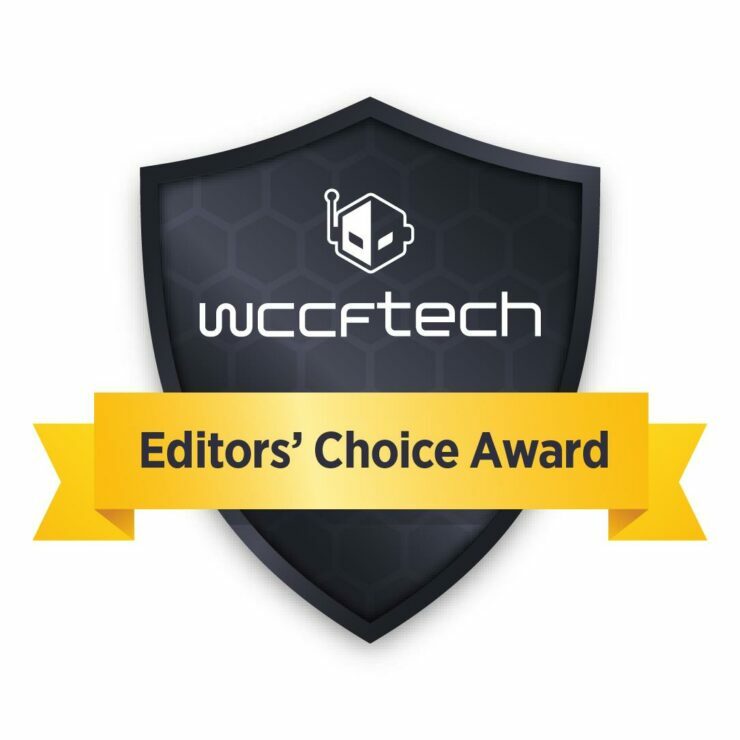 For all this (and more), it bags itself an Editors’ Choice Award. 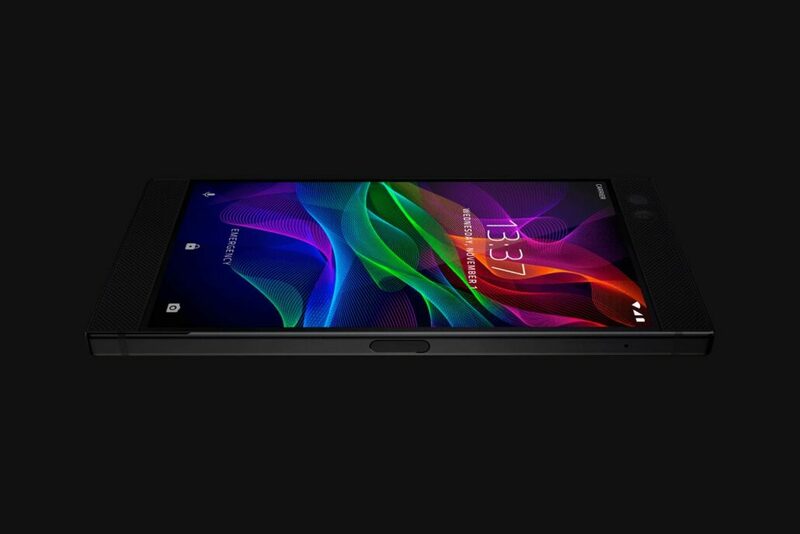 An excellent first effort from Razer at a flagship Android phone with gamer oriented features. Fast, slick and well put together. They didn't give me the limited edition one with the green logo. Whaaaaat? !